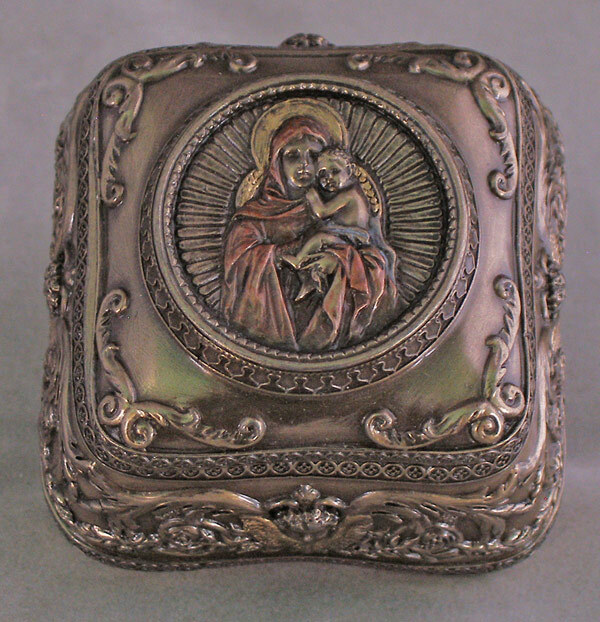 Madonna & Child box from the Veronese Collection in a lightly hand-painted cold cast bronze, 2.5x2.5inches. 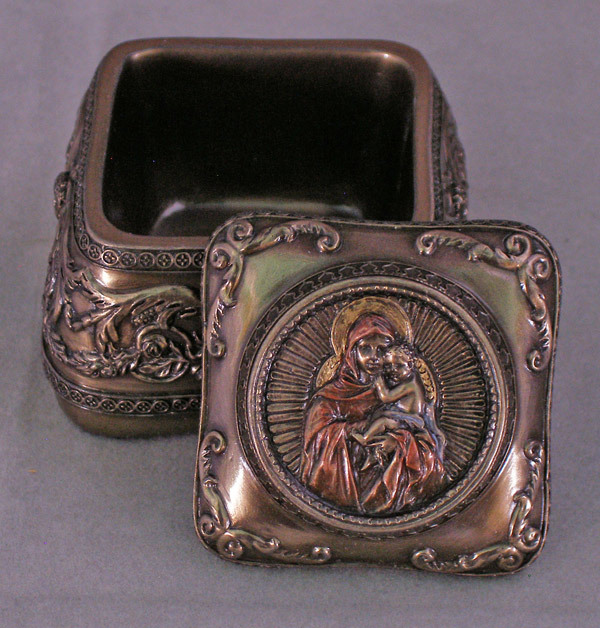 ADDITIONAL B-75000 SERIES QUANTITY DISCOUNTS AVAILABLE IN ASSORTED QUANTITIES...10 BOXES, 10% OFF, 20 BOXES, 20% OFF. SEE PHOTO WITH TOP OFF BELOW!